The artwork may include such school themes as: school supplies, school buses, students using school supplies, etc. Student creativity is encouraged! Please do not include a specific school or school district name, as our League provides school supplies to multiple schools and school districts. The students should use plain white 8.5 x 11 paper as their canvas. Submissions should be turned into the child’s teacher, along with the submission form, no later than March 31, 2019. For more information, please email stuffthebus@jlbcs.org! 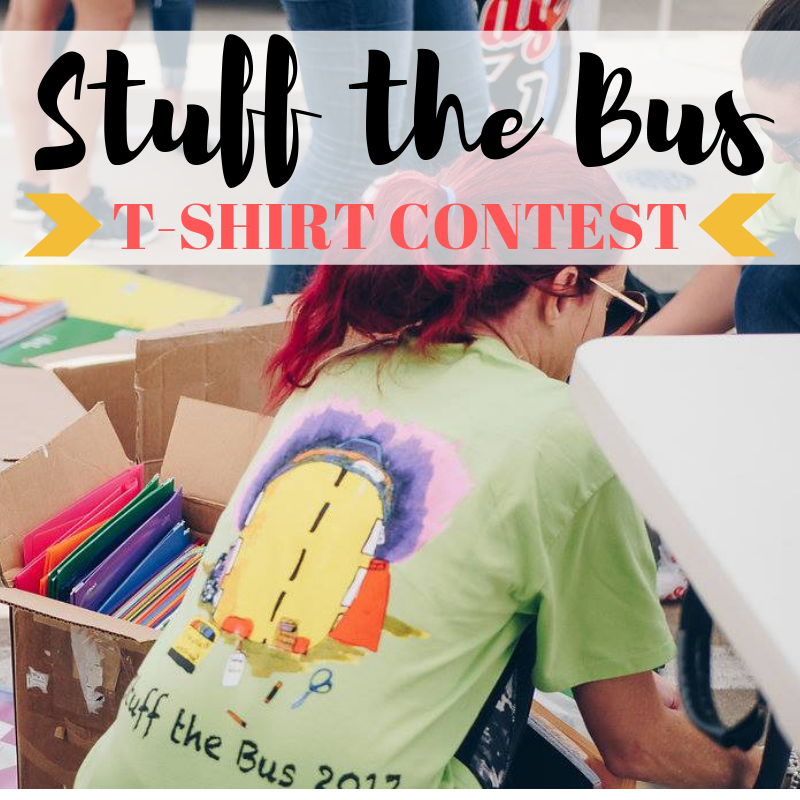 Stuff the Bus is the signature project of The Junior League of Bryan-College Station, Inc. (JLBCS), and provides thousands of children in our community with essential school supplies each year. In 2018, JLBCS purchased $80,000 worth of supplies for the Bryan Independent School District (BISD) and the College Station Independent School District (CSISD). Over our week long supply drive, we successfully brought in approximately 40,000 items, and over $8,000 in monetary donations. These funds help us to continue supporting the project year after year. Stuff the Bus began in 2000, and is primarily supported by the funds raised at our annual Charity Ball in the winter, through raffle tickets sales, table and event ticket sales, and our silent and live auctions. In addition to the supply donations, JLBCS also awards two $1,000 spirit grants, one each to BISD and CSISD, based on nominations by community members who donate to the project. If you know of a child that could benefit from Stuff the Bus, please contact their local school district. For more information on Stuff the Bus, please contact our project Chair.